Report of a person hit by a Metra train, and that a man stumbled into the side of the train when it was moving. Person on Tracks response returned. BC18 reports person is still alive. A10 transporting one patient Code Red to Mount Sinai. Report of a fire in apartments above of a restaurant with rear porches burning. Pizano's Pizza and Pasta at 864 N State St and Tarot Card Gallery at 866 North State St.
BC1 on arrival reports a fire on the second floor. Still and Box Alarm at 1:19 AM for fire involving rear balconies with difficult access. Two buildings involved with fire are 866 N and 864 N, two lines working, aerial to the roof, companies are working, and primary searches underway by 1:28 am. Need traffic control at 1:32 am for people running over hoses. Two 3-story 20x70 ordinaries with 2 lines on the fire: most of the fire is knocked or out, chasing hot spots, primary and secondary searches complete and negative, final searches underway, and all companies working at 1:35 am. Exposure building all searches complete by 1:49 am per 271. STRUCK OUT AT 1:54 AM on orders of 221. Report of a house fire with two children still inside the house. E116 crew on arrival reports a 1 1/2-story frame with fire on the first floor, ambulance needed Side A. Third ambulance requested by BC6 for people down in the front yard. EMS Plan 1 by 1:52 am. on orders of BC6. Seven people home at time of fire -- 7 -month-old baby killed, and 51 year-old male (father) critically injured. At least two children transported with burns. BC6 reports two lines on the fire, roof being opened, ground ladders in place, secondary searches in progress by 1:53 am. Fire is out and secondary search complete and negative by 2:07 am. TRUCK(S): T41 T ?? TL ?? Report of a fire at a split-level house. Report of pets inside. Police on arrival report a lightning strike with flames showing from a basement window. Code 4/Working Fire response at 4:02 pm. E82 crew on arrival reports a fully-involved basement fire by 4:04 p.m. Interior crew report no more flames seen by 4:11 p.m.
E81 search the first floor with Tower Ladder 85 assigned to assist search on the first floor at about 4:15 p.m.
Quint 83's crew was working the second line at about 4:15 p.m.
Primary search all clear by 4:17 p.m. Firefighters had two lines on the fire, building opened up for ventilation, ladders in place, primary search all clear, working on overhaul and checking for extension by 4:20 p.m.
Engine 82's crew confirms the fire is knocked in the basement by 4:23 p.m.
Report of a residential frame, multiple structures burning -- including coach house and 2 garages. 2 adults killed. 6 children killed. Adult injured and in Critical Condition. Teen injured and in Critical Condition. Firefighter injured, listed in Good Condition. Still and Box Alarm 4:05 am. EMS Plan 1 at 4:13 am on orders of 4-5-7. 2-11 Alarm at 4:15 am on orders of BC14. EMS Plan 2 at 4:23 am. EMS Plan 3 at 4:26 am. E109 crew on arrival reports a fire in the rear by 4:02 am. TL5 Side A.
BC14 reports a 2-1/2-story frame, 25x50 with a fire in the rear; 2 brick garages fully-involved 25x40; one line on the fire; all companies working by 4:07 am. Third engine (E107) assigned to the alley, T52 assigned to the alley, E99 assigned to the alley for manpower. BC14 requests an ambulance to the front of the building by 4:11 am. Teen and adult transported Code Red to Stroger. 4 lines on the fire, main to the roof, all companies working by 4:12 am. 4 lines on the fire; primary search underway, coach house fire out, working on two other structures at 4:25 a.m.
Two additional trucks requested at 4:31 am. -- T7 and T2 assigned. Need an ALS ambulance in staging at 4:36 am. Main body of fire out by 4:36 am; secondary search underway. 2-1-5 in command by 4:39 am. Multiple removals by 4:50 am. EMS PLAN 3 secured at 4:57 AM on orders of 2-1-5. 2-11 Alarm struck out at 5:01 am on orders of 2-1-5. EMS: A ?? FC4-5-7 STANDBY A ?? BC26 relays report of a boat explosion from police; requests A26, A27 and E27 at 10 Harbor Drive. Male, age 60, found dead in water. Boat fire, then boat sunk. Second male victim transported to Evanston Hospital -- non-life-threatening injuries. MABAS Division 4 Box Alarm on Box #46-61 for a water rescue at Independence Grove Forest Preserve. Far northwest side of the lake. STAGING: Inside on the left road. Report of a semi-trailer truck vs car crash with injuries. Engine 80 on arrival reports crash actually at 130th and Ford Access Road, and there are two patients. Second ambulance requested. CDOT requested for the car that is wedged under the semi -- no pin-in. Report that a neighbor sees flames in a window. BC51 on arrival reports reports they have a working fire by 6:40 p.m.
Inverrary command reports fire under control and searches all clear by 6:53 p.m.
TRUCK(S): Buffalo Grove Q27 (unavailable) Countryside TL412 Northbrook TL12? MABAS Division 4 Box Alarm on Box #38-1 for a attached garage fire at a large home. Three of five people shot while traveling in a Jeep. Male, 21, and female, 22, both DOA at Mount Sinai. Male, 19, transported to Stroger; listed in serious condition. Shooting one block away; unknown if shooters in vehicle or on foot. Pin-in response and an EMS Plan 1. BC18 reports 3 extricated by 3:55 a.m. and that crews are still working on extricating a fourth victim. EMS PLAN 1 by 3:48 AM. Report of a crash with two injured on Waukegan Rd north of Route 22. Crew on arrival reports two cars involved with moderate to heavy damage. A422 reports two vehicles with moderate damage and one vehicle off the road. Lake Forest A422 taking the patient being extricated, and Deerfield taking another patient already out of the vehicle about 9:40 p.m.
Extrication complete by 9:42 p.m.
Report of fire visible in the windows at EZ Tan. Police on arrival confirm flames and smoke showing with a strong chemical odor; shutting down Route 120. BC12 on arrival reports an unoccupied building with smoke showing by 9:14 p.m.
BC12 assigned second engine to park in front of EZ Tan and drop a 5 inch at the first engine and connect to the hydrant west of the scene. TRUCK(S): Q ?? T ?? T ?? TL ?? Report of a high pressure gas line rupture and outdoor leak with evacuation. UPgraded to Structure Fire Response as precaution at 10:27 a.m. Winds WSW 4 MPH. Traffic blocked at Rockland Rd and Ashford Dr and west of scene. Temperature-controlled bus requested at the scene for shelter for residents. Change of Quarters Box Alarm struck out by 11:16 a.m.
MABAS Division 4 Change of Quarters Box Alarm on Box #46-32 for a high pressure gas leak and residential evacuations. Report of a building collapse. BC19 vacating all floors of the structure. BC19 reports a 2-story ordinary, 20x50, with part of the facade came down. Building Department requested to the scene. One victim Code yellow removed by A49. Car vs motorcycle crash with injuries. Multiple call reporting motorcyclist is still down. Crash apparently involves an extended accident investigation. Lews Ave is closed between Bonnie Brook Ln and Ballentine St. at 8:50 p.m.
Report of worker electrocuted while working next to power lines. Extra companies returned by 10:04 a.m.
A13 transporting one ambulatory adult male Code Red to St Francis. Report of a trailer fire in railroad yard south of 47th St. E50 using tank water. Large header showing. Inline operation to E50 by 11:11 AM. EMS: A57 FC ?? STANDBY A ?? Report of a person injury when a tire crashed through a windshield. Crew on arrival reports incident just north of the Oasis on the inside shoulder. Person trapped in machinery at Illinois Transport -- a refrigeration container and chassis repair company. E15 on arrival reports by 10:21 AM they got the guy out, but need an ambulance. E50 crew on arrival reports a 2-story ordinary with smoke showing from the second floor. BC6 reports two lines, ground ladder, aerial to the (being opened), primary search in progress by 7:38 a.m.
BC6 reports two lines on the fire, companies making progress, secondary searches underway and negative thus far by 7:43 a.m. Secondary search complete and negative, final search underway, fire is out by 7:56 a.m.
All searches, including the final search, are complete and negative by 8:00 AM. E38 crew on arrival reports: "We got a fire." BC14 reports a 1-1/2-story ordinary, 25x50, with a fire in the attic. E38 has the main body of fire extinguished in the attic, primary search complete; secondary search underway by 10:46 PM. T32 completed the primary and secondary search of the attic -- clear by 10:50 PM. T48 completed the primary and secondary search of the first floor -- clear by 10:50 PM. Holding the squad and van by 10:50 PM. TRUCK(S): T48 T32 TL ?? Report of an apartment house fire also given as 2446 West 35th Street. Appears to be a duplex. E39 crew on arrival reports a fire in a 2 1/2-story ordinary. T52 reports Side A for a fire on the second floor. Fire in the attic; they see it. BC14 reports two lines on the fire by 11:02 PM. Primary search complete by 11:07 PM; making good progress. MABAS Division 27 Box Alarm on Box #222 for a structure fire (Townhouse Fire) on orders of 202. Crew on arrival reports nothing showing, but people outside reporting a fire inside. E9 crew reports fire on the A-B Side of the building; going offensive with a skid load; interior crew reports no extension. A13 crew reports an apartment unit fully-engulfed in the back of the building. Two patients; three more ambulances requested by 6:24 p.m.
Fire out by 6:36 p.m.
Report of a rollover crash with injuries, and possibly multiple vehicles involved or stopped at the scene. One vehicle might be off the road and on a trail. Crew on arrival reports no entrapment. Westbound Higgins Rd shut down at Arlington Heights Road. Fire command reports one overturned vehicle with two medical releases. Report of an alley garage fire; might have been 12423 S Wentworth. BC22 reports a 20x20 alley garage, and that E75 is using a "big line" and should have the fire knocked "in a moment" after 12:48 a.m.
E75 on arrival reports an alley garage totally involved. Report of a fire at a warehouse with a man trapped on the roof. Possible sparks from construction work ignited dumpster content inside warehouse. Man evacuated before firefighters arrived. MVU-1 called to the scene. Fire out by 2:11 p.m. All Code 4 companies still responding were returned at 2:11 p.m.
Report of a house fire -- vacant, open and dangerous. E101 on arrival reports a little smoke. BC20 reports a 1 1/2-story brick, raised ranch, 20x50, with a fire in the rear and the basement. Primary search complete in basement and first floor by 5:42 a.m.
One line on the first floor Side A by E101, second line on Side B in the basement by E116, ground ladder Side A, ground ladder Side C, and the fire is out by 5:42 a.m. Exposure building had some melted siding. ENGINE(S): E101 E116 E ?? Report of an apartment fire with E116 deckgunning the fire on arrival. Woman found dead in 2nd floor bedroom. BC6 reports a 2-story ordinary, 100x30 with a fire on the second floor. T51 aerial to the roof, ladders on Side A, water on the fire by 12:15 a.m.
Fire out by 12:18 a.m. with a primary search underway. Police called to the scene. TRUCK(S): T51 T18 TL ?? Update on fire at 1304 west 57 street. Investigation has determined this death was a homicide. Turned over to police as a crime scene. Report of a black smoke from the roof of a house. BC9 reports a header while responding; requests Code 4, then Box Alarm at 10:18 a.m.
BC9 on arrival reports a fire on the roof. The fire was initially reported as a Sarasota Drive address. Primary search by 9:56 a.m. assigned to TL22 with no hose line. E31 assigned to pass TL22 and reverse lay from the tower up to the hydrant by 9:57 a.m.
E31 assigned to extinguishment. E33 assigned to secondary supply by 9:57 a.m.
E22 assigned to RIT by 9:57 a.m. First ambulance assigned to stand by for rescue victim by 9:57 a.m. and second ambulance assigned to RIT ambulance. Tl22 crew report the fire was showing at the rear of the house near the kitchen and the deck. TL22 reports at 9:59 a.m. that the homeowner says everyone is out of the building. Fire declared under control by 10:29 a.m. with two lines on the fire and all companies working. MABAS Division 1 Box Alarm 2nd Level on Box #2 for a structure fire (HOUSE FIRE) ... for manpower. Report of a person in the water at Roosevelt Rd and the Chicago River. Witness reports a person jumped in on the southeast side of the Chicago River and did not re-surface. One additional ambulance assigned for staging at 12:27 pm. Divers out of the water by 12:31 p.m. Victim rescued and transferred to the CPD Marine, transport to River City Condo dock for transfer to EMS. E5 and A42 assigned to south side of River City. Patient was transferred off the police boat and into A42 by 12:50 p.m.
A42 transported patient to Stroger. Report of an apartment fire in a mixed occupancy building. Upgraded to a Still and Box, but quickly struck out. BC22 on arrival reports a 2-story ordinary, 25x50 at 7:11 p.m.
BC22 reports the building is locked up and fire is up in the rear. Hitting the fire from the exterior at 7:17 p.m. Fire struck out at 7:29 PM on orders of 225 immediately after gaining entry. TRUCK(S): T42 T24 TL ?? STILL AND BOX ALARM AT 07:23 PM on orders of 225. STRUCK OUT AT 7:29:24 PM on orders of 225. Report of a blind shaft elevator rescue response. Aerial Tower 1 crew on arrival reports they are learning this is blind shaft elevator rescue. BC1 report the blind shaft runs from the 4th floor to the 13th floor with one occupant with no medical conditions in the stalled elevator car. Elevator company already on the scene at 8:36 a.m. Elevator company got the elevator moving by 8:43 a.m. -- holding up SQD2 and 5-1-5. SQD 1 available on scene. Crew on arrival reports "this is a garage fire." BC14 reports alley garage fire at 3025 communicated to 3023; fire is out and companies washing down by 3:23 a.m.
Report of multiple apartment houses on fire. Crew on arrival reports a 2-1/2-story ordinary, hitting it with a deck gun, possibly 5328 South Wood ... with a little communication to the south structure by 2:35 a.m. Upgraded to Still and Box at 2:35 a.m. and 2:11 Alarm by 2:46 a.m.
Third engine (E39) assigned to the rear) at 2:41 a.m.
Fourth engine (E50) assigned to feed E123. BC6 reports water problems and requests at 2-11 Alarm by 2:46 a.m.
BC6 reports three 2 1/2 lines on Side B, and a line on the exposure to Side B.
E84 assigned to feed the tower at 53rd St and Wood by 7:49 a.m.
E101 crew assigned to Side B in the rear by 2:51 a.m.
2-2-1 in command at 2:57 a.m.
TL39 hitting the main fire building with a partial collapse and all defensive. E49, E116, T18, SQD5 and BC4 are in the 2 1/2-story making progress by 3:12 a.m. The 5324 address to the north is being evacuated -- going defensive by 3:18 a.m. E49, T18, BC4 are PAR by 3:20 a.m.
Tower ladder working the south exposure, main fire building 1 3/4 attack, handlines on the C and D side all exterior attack on the northern exposure by 3:29 a.m. Going defensive and PAR while the chimney is knocked down at the 1 1/2-story frame at 3:39 a.m.
Making progress and striking out the 2-11 by 3:42 a.m. on oders of 2-1-27. Report of two garages and two vehicles on fire with wires down in the alley at 13118 S and 13120 S.
E124 crew on arrival reports a fully-involved garage fire. TRUCK(S): T61 T ?? TL ?? Pin-in crash with an EMS Plan 1 on orders of A29. Incoming ambulances at 95th and Ashland. Command reports four patients -- three pediatric patients and one adult. Two adults Code Red, three children Code Red. All transported to Level I Trauma Center Advocate Christ Medical Center. TRUCK(S): T40 T ?? TL ?? T17 crew on arrival reports working a hand pump can extinguishing a floor joist, checking for extension. One line on the fire, aerial to the roof and roof being opened with ladder on Side B toward the rear by 2:03 p.m. Secondary search in the basement complete and negative. Primary in the attic complete and negative, and secondary in the attic underway by 2:09 p.m.
BC24 reports fire out by 2:09 p.m.
TRUCK(S): T ?? T17 TL ?? Crew on arrival reports heavy damage, possibly no entrapment, and third ambulance requested. A23 transporting ALS patient to St Alexius. A36 transporting ALS patient to St Alexius. A81 transporting ALS patient to Northwest Community Hospital. Working small scale incident; contacting hospitals. Report of an apartment fire with back porches burning. Fire response upgraded to a Still and Box Alarm and a 2-11 Alarm. Child, age 4, critically injured. E63 crew on arrival reports a fire on the 3rd floor. TL34 assigned to back down from the east, and E72 assigned to feed the tower. BC19 reports a 3-story ordinary occupied, 100x60, attached to another residence with fire on all three floors and back porches mostly down by 10:56 a.m..
Primary search underway by 10:56 a.m.
E46 in the rear with a deck gun and a coule of handlines. Tower Ladder in the front going up, and surround building with ladders by 10:56 a.m.
Fire through the roof, going defensive and conducting a PAR by 11:00 a.m.
TRUCK(S): T16 T30 TL ?? Report of a helicopter down near 103rd St and Michigan Avenue (crash is actually 3000 feet north-northwest of intersection). Superior Air-Med helicopter apparent auto-rotation, crash, hard-landing. Four hurt, including patient -- all Code Red. Chicago police helicopter PH-1 investigates a reported helicopter crash about 7 miles southwest of Midway International Airport about 9:22 p.m. -- just before fire crews start communicating on radio as they search for the crash scene. The Superior Air Medical transport helicopter pilot had reported the helicopter was going down in a field. Witnesses on the ground later reported the helicopter was spinning and on fire before it hit the ground. PH-1 reports they discovered the helicopter with an apparent hard landing and fire. PH-1 leaves the area. Chicago Fire Department helicopter 6-8-2 reported they were circling the scene shortly after PH-1 left the scene. E93 on arrival reports they don't see anything at 103rd St and Michigan Avenue. 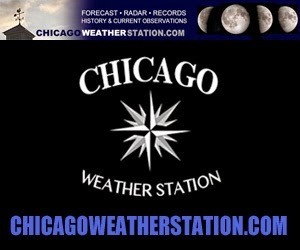 Fire units start to become aware that the crash is near the I-57 and I-94 merge and see smoke in the air about 9:32 p.m.
T24 crew reports crew is on scene with police and crews can enter at 99th St and Halsted St 9:35 p.m.
A29 requests and EMS Plan 1 by 9:35 p.m.
BC22 confirms the location is on the I-57 feeder ramp to the Bishop Ford. T24 reports they have a helicopter crash with no civilians on board the helicopter with patients being triaged in a grassy area near the crash scene by 9:36 p.m. Expressway shut down at 9:37 p.m.
BC22 reports they have four patients that require treatment by 9:39 p.m.
Fire extinguished, 4 patients including the initial all accounted for by 9:48 p.m.
A24 transporting 30 yr-old female Code Red to Level I Trauma Center Advocate Christ Medical Center. A60 transporting a 70 yr-old female Code Red to Level I Trauma Center Advocate Christ Medical Center. A5 transporting a 30 yr-old female Code Red to Level I Trauma Center University of Chicago. A9 transporting a 46 yr-old male Code Red to Level I Trauma Center University of Chicago. E75, E93, E62 and T24 staying on scene -- all others returning by 9:54 p.m.
TRUCK(S): T ?? T24 TL ?? STAGING: 99th and Halsted at the top of the ramp. EMS PLAN 1 SECURED AT 9:44 PM. Report of a people trapped in an elevator in a blind shaft section. BC1 reports the incident is not a blind shaft incident, and that once the door is opened occupants will be able to walk right out. Pin-in crash with three victims entrapped. BC7 on arrival reports car into a pole with 3 trapped, confirms 3-ambulance response. Bureau of electricity requested by 9:23 a.m.
One patient extricated by 9:23 a.m.
BC7 reports second patient extricated by 9:27 a.m. -- extricating the third patient. EMS: A43 A ?? A ?? A ?? 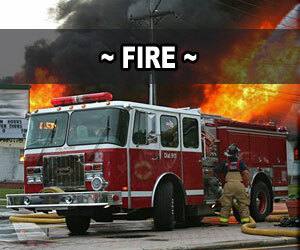 Report of a semi-trailer truck fire with refrigerated foods on fire. Prospect Heights Crash Truck 39 requested by 6:20 a.m.
NB traffic backed up past I-290 at 8:30 a.m.
TRUCK(S): Niles T2 T ?? TL ?? CHIEF(S): North Maine FPD BC1 Glenview BC? Report of fire in an elementary school. E119 on arrival reports nothing showing. Small fire on the roof from an overheated motor. Fans ventilating building. School was evacuated. No OFI needed; BC11 meeting with building maintenance. STRUCK OUT AT 11:48 AM on orders of BC11. Report of a deck fire with some extension into the house, held as a Code 3. E54 assigned RIT to the front of the building. A53 to command post, A51 crew assigned to team up with T53 and E51. Exterior fire reported "fire out" by 12:38 a.m.
Crews assigned to check interior. Smoke ejectors assigned to the inside to ventilate the house. SQD55 assigned to bring K12 saws to cut part of the deck by 12:40 a.m.
Two lines led out for a deck fire on the C-side of the house with extension into the house. One line led out to the deck, and one line led out to the interior. Companies overhauling and ventilating building by 12:42 a.m.
Report of an apartment fire with an oxygen tank involved with the bedroom on fire. E126 crew on arrival reports a 5-story apartment building with nothing showing. E126 reports by 8:35 a.m. they have a fire in the west section of the building on the top floor. BC23 reports a 5-story 100x150 with smoke on the 5th floor. BC23 reports hand pumps on the fire, leading out, primary search underway. Fire out by 8:44 a.m.
TRUCK(S): T49 T16 TL ?? Report of an apartment/house fire with one person removed from the building and transported to Norwegian Hospital. E44 crew on arrival reports a 2-story ordinary with nothing showing. BC17 reports a 3-story ordinary, 25x75 with a little light smoke showing by 5:00 a.m.
BC17 requests a working fire response by 5:07 a.m. for a fire on the first floor. Aerial to the roof, and T7 checking the basement. One person removed from Side C by 5:18 a.m.
BC17 reports a positive source of water with E44 making good progress on the first floor and E57 leading out to the second floor, 20 foot ground ladder to Side A, T7 and T36 advised of a possible victim on the first floor. A64 transporting patient to Norwegian with two members from T7 assisting paramedics. E44 reports the fire is out on the first floor by 5:24 a.m.
Primary search by SQD2 complete and negative in the basement by 5:27 a.m.
Primary and secondary search by E57 complete and negative on the second floor by 5:27 a.m.
All searches complete and negative by 5:35 a.m.
271 reports fire is out by 5:38 a.m. Final washdown underway by 5:42 a.m.
BC14 on arrival reports a 2-story ordinary, 25x60 with a fire on Side C.
T48 throwing a ladder to Side C.
Man rescued and removed by 5:50 a.m. -- victim found in primary search, removed to Side A with paramedics by 5:50 a.m. Patient transported by A67 by 5:54 a.m.
Three lines on the fire by 6:02 a.m.
Primary and secondary search complete; final search underway by 6:14 a.m.
TRUCK(S): T32 T 48 TL ?? EMS: A67 FC ?? STANDBY A ?? Report of a fire at Chris's Bakery at 41st and Sacramento Ave (1-story brick building). Three firefighters injured. E65 crew on arrival reports a fire by 21:09 a.m.
T52 Side A by 12:09 a.m.
Mayday, Mayday, Mayday requested by BC6 by 12:15 a.m. Still and Box/EMS Plan 1 by 12:15 a.m.
BC6 reports they are going defensive and are getting PAR by 12:16 a.m.
BC6 requests 3 ambulances at 40th St and Sacramento by 12:16 a.m.
MAYDAY secured on orders of BC6 by 12:30 ... 2-7-4 reports 3 members A68, A69, and A21. CV274 reports a 1-story ordinary, 125x50 with a fire in the cockloft. One firefighter transported Code Red to Cook County Stroger. All three firefighters listed in Good Condition by 1:55 a.m.
EMS: A21 FC455 STANDBY A ?? STILL AND BOX/EMS PLAN 1 by 12:15 AM. Report of a grease fire in a factory warehouse, home of Tiger Flex. The company manufactures rubber products. E9 crew on arrival reports heavy black smoke showing from the back of the building. Extra companies were released by 11:34 p.m.
Report of a fire in a bathroom fan in a townhouse. Crew on arrival reports by 8:24 p.m. reports nothing showing. Firefighter/paramedics checking one resident that extinguished the fire with a fire extinguisher. Command reports fire is out by 8:29 PM. Neighboring residents allowed back in their residences. Report of a roof on fire at a large house. Police on arrival report everyone is out of the house by 2:36 a.m.
4502 on arrival reports a fully-involved roof fire on a large multi-story residential by 2:39 a.m.
E4517 assigned to back in the driveway and lay hose from Sheridan Rd. by 2:42 a.m.
Companies going defensive mode by 2:42 a.m. Box Alarm at 2:43 AM. MABAS Division 3 Box Alarm on Box #4502 for a structure fire (house fire). MABAS Division 6 EMS Box Alarm on Box #6-74 for a crash with multiple injuries. Two medical transport helicopters to the scene. MABAS Division 19 Box Alarm on Box #34-T for a structure fire (HOUSE FIRE). MABAS Division 2 Box Alarm on Box #2-206 for a house fire (2-story single family residence). Winds SW 26 G 37 at 10:51 AM. Box Struck out by 11:39 AM. Report of an apartment building fire with fire in the basement. E129 crew on arrival reports smoke showing by 3:20 a.m.
BC21 reports a 3-story ordinary (occupied), 75x100 with a little smoke showing from the roof by 3:22 a.m.
BC20 reports one line in the basement; difficulty finding the seat of the fire; requests a Still and Box by 3:28 a.m.
275 reports two lines on the basement fire, water on the fire, checking for extension, primary search underway by 3:39 p.m.
275 requests a warming bus by 3:41 a.m.
225 requests a 2-11 by 3:53 a.m.
275 reports two lines led out in the basement, but still looking for the source of the fire at 3:55 a.m.
20 minute ETA for the warming bus at 3:59 a.m.
275 reports two lines on the fire in the basement, checking for extension on floors 2 and 3, and 2-1-24 in command of the fire by 4:02 a.m.
Primary search on floor 1 complete and negative by SQD5 by 4:07 a.m.
All searches on floors 2 and 3 complete and negative by 4:13 a.m.; 2-1-24 strikes out the 2-11. TRUCK(S): T50 T ?? TL ?? MABAS Division 20 Box Alarm on Box #100 for a structure fire at Grace Community Church. Report of a dumpster fire that communicated to a church. Westchester Command reports that fire in a dumpster communicator and it looks like there is a stop on the fire by 3:54 p.m. with no elevation of the Box Alarm expected at this time. Report of an apartment fire with people trapped. One person was reported killed in the apartment house fire. Address not confirmed. T12 Side A ... assigned to check the third floor by 1:35 p.m.
E59 assigned to take the rear of the building at 1:40 p.m..
BC10 reports two lines on the fire with a deck gun hitting the rear by 1:44 p.m.
BC reports a 2-1/2-story ordinary, 25x60, with a fire on all floors. Primary search complete and negative on one and two by 1:46 p.m.
CV272 reports four lines on the fire with a fire in the attic by 1:52 p.m.
TRUCK(S): T12 T ?? TL ? ?